The new trailer for DreamWorks Animation's "How to Train Your Dragon 2" has been released online. If you have seen the first one which was released in 2010, the events here in the new sequel take place about five years after that of the first one. After watching the trailer below and comparing it to what I remember from the first film, and if my memory serves me right, this time the characters here get to travel and explore more of their lands and meeting new adventures, new villain. Seems like their are more dragons here than before and also, to me, looks like it is more serious than it's predecessor so it is more exciting to see what the new installment has in store for us. But it's still funny to watch just like the previous one. 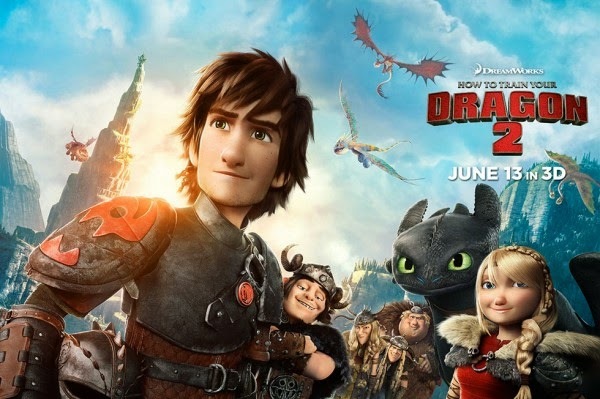 In the How to Train Your Dragon 2 we still get the same actors behind the voice of those characters such as Jonah Hill as SnotLout, Gerard Butler as Stoick the Vast, Jay Baruchel as Hiccup and many others. Kit Harrington (Jon Snow from Game of Throne series) joins the cast as Eret, son of Eret and Cate Blanchett as as Valka. This movie will open in June.